Why America's sons are underachieving, and what we can do about it. Something is happening to boys today. From kindergarten to college, American boys are, on average, less resilient and less ambitious than they were a mere twenty years ago. The gender gap in college attendance and graduation rates has widened dramatically. While Emily is working hard at school and getting A's, her brother Justin is goofing off. He's more concerned about getting to the next level in his videogame than about finishing his homework. Addressing parents’ questions about the emotional impact of separation, conflict, grief, and recovery, the authors provide a road map for all family members to safely navigate through separation/divorce and beyond. Through tested and reassuring guidance, parents will discover how to move from angry, hurt partners to constructive, successful co-parents who are able to put their children’s needs first. Chock-full of strategies to help resolve day-to-day issues, create boundaries, and establish guidelines, this handbook will help ensure kids and co-parents thrive. The #1 Baby Names Book! Every year, hundreds of thousands of expectant parents turn to The Complete Book of Baby Names as their essential guide for choosing the best name for their child. Helpful and full of creative inspiration, this #1 bestseller gives you all the best ways to find your favorite baby names and decide on the perfect fit, whether you're looking for something classic or a bit more unique. With a wide-range of popular lists, name meanings, alternate spellings, and inclusive options, this is the go-to reference for new moms and dads. The attributes of the perfect name for you! This is the perfect book for parents looking for a variety of baby girl and baby boy names! Parenting gets nailed on the HEAD. Shhh. These parents have a secret. From the moment their baby wakes, an emotional day of ups and downs begins. All this beautiful monster wants is every ounce of their parent's love and attention. "Every day you make me crazy, I love you to pieces, Beautiful Monster." From breakfast to bedtime, you'll laugh at all the emotions these parents and their sweet child go through in just one day. The emotional roller coaster that is lovingly referred to as: A Day in the Life of Parenting Young Children, is both exhausting and rewarding. During a time when parents are in SURVIVAL MODE, this story is a sweet and fun reminder that they are not alone. The message of love in this book shines through - our babies make us a little crazy, but we still love them to pieces! Little ones love the repetition and relatable illustrations from their everyday life, while parents find humor in the loving truths of parenthood. Parents often describe this book as the perfect baby shower gift.But truthfully, the best way to gift it is to yourself. So how does the big day end for the mama and her monster? Snuggle up with your little one and find out! Get yours now! For a Limited Time: Purchase the paperback copy and get the Kindle ebook FREE! We are all Born to Eat. It seems only natural for us to start at the beginning--with our babies. When babies show signs of readiness for solid foods, they can eat almost everything the family eats and become healthy, happy eaters in the process. By honoring self-regulation (also an innate skill) and focusing on a whole food foundation, we can foster healthier children, parents, and families. Born to Eat is a book about a family-based feeding philosophy that encompasses a baby-led weaning and a non-diet approach. For thousands of years, humans have thrived without "baby food" (which was invented in the late nineteenth century). Think about it: the human race has made it this far largely on whole food. Only in recent decades have we begun overthinking and over-processing our foods, which has led to chronic dieting, chronic disease, disordered eating, body distrust, and epidemic confusion about the best way to feed ourselves and families. Eating is an innate skill that has been overcomplicated by marketing schemes and a dieting culture. It's time to leave the dieting culture behind for the whole family. It starts with the baby's first bite! Aside from the United States, most countries are accepting of babies starting of solids with the foods of the family. With a focus on self-feeding and baby-led weaning approach, registered dietitians and wellness experts Leslie Schilling and Wendy Jo Peterson provide age-based advice, step-by-step instructions, help for parents, and easy recipes so you can ensure that your infant is introduced to healthy and tasty food as early as possible. You don't have to cook another entire meal to feed just baby, nor blend everything you eat into a puree to support healthy growth in an infant. With a little patience, presence, and skill, you can transform nearly any family meal into a baby-friendly food. Who knew a little planning could have the whole family eating together, and better? Distinguished pediatrician Dr Robert Bucknam, M.D. and co-author Gary Ezzo are two of the world's leading experts on baby sleep and feeding patterns. Millions of new mothers across the globe are coming toward this new brand at an increasing pace as they find and share the life changing success they are achieving with their newborns. This updated Anniversary edition celebrates 25 years with Bucknam and Ezzo's groundbreaking approach which has found favor with over six million parents in all 50 states and has been translated into 20 languages around the world. In his 28th year as a licensed Pediatrician, Dr. Robert Bucknam, M.D. along with co-author Gary Ezzo, demonstrate how order and stability are mutual allies of every newborn's metabolism and how parents can take advantage of these biological propensities. In particular, they note how an infant's body responds to the influences of parental routine or the lack thereof. Early chapters start with explorations of everyday aspects of infant management such as the three basic elements of daytime activities for newborns: feeding time, waketime, and naptime. Practical discussions then focus on broad and niche topics including feeding philosophies, baby sleep problems, baby scheduling challenges, nap routines, sleep training multiples, baby sleeping props, Colic and Reflux and many other dimensions which impact breast feeding schedules, bottle feeding tips, and baby sleeping training. Five resource Appendixes provide additional reference material: 1) Taking care of baby and mom 2) A timeline of what to expect and when 3)Baby Sleep Training Problems and Solutions 4)Monitoring Your Baby's Growth 5) Healthy Baby Growth Charts On Becoming Babywise is more than an infant-management concept. It is a mindset for successful parenthood. It can help any parent develop a plan that meets both the needs of a new baby and of the entire family. These principles have worked for millions of parents and, when applied with common sense to your unique situation, can work wonderfully for you too! Recommended by doctors across the country. The only resource you'll need to find the perfect baby name! 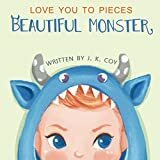 The most comprehensive and giftable guide that offers readers a variety of the BEST ― and most unique ― baby names out there for both boys and girls. Easy―to―use and the perfect size for busy parents on the go, this is the baby name book that moms and dads―to―be will turn to again and again. Inclusive variety of names from around the world! Not a bulky reference book, not a stipped down sampling of names you already know, THE BIG BOOK OF 60,000 BABY NAMES is the perfect balance to help you find THE name for your new little one.